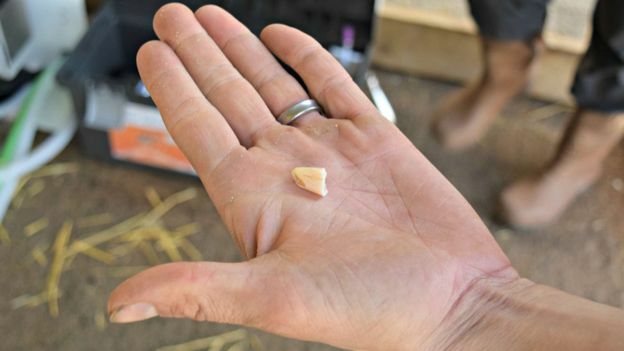 When a Tiger having a 13cm of five-inch-long tooth gets pain gets infected the result is not going to be good, the same was seen in Kahn a 200kg male tiger from the Noah’s Ark Zoo in Bristol. the Zoo officials were fast to spot that the reason for the grumpiness of the Bengal Tiger was in fact a chipped off canine. To deal with it, a part-time zoo dentist Dr. Peter Kertesz who is also a London surgeon was called in to fix the tiger’s toothache. Dr. Peter was fast to act and with the help of an Anesthetist to regulate the dosage of the Anesthesia to help keep the tiger in deep sleep and not lose out into coma during the 45-minute surgery, at the same time not to regain consciousness, which meant that the massive jaws would close leaving Dr. Peter with amputated wrists. According to animal park, the tiger has the strongest bite force of any big cats which made the procedure even more dangerous. Dr. Peter has cut out the chipped off section of the tooth and extirpated the pulp from the tooth and close it with a filling. It is not clear if a proper Root canal procedure was performed on the Canine. We have seen earlier that a Root canal procedure was performed on another Big Cat by Endodontist Dr. Stephen Cohen. 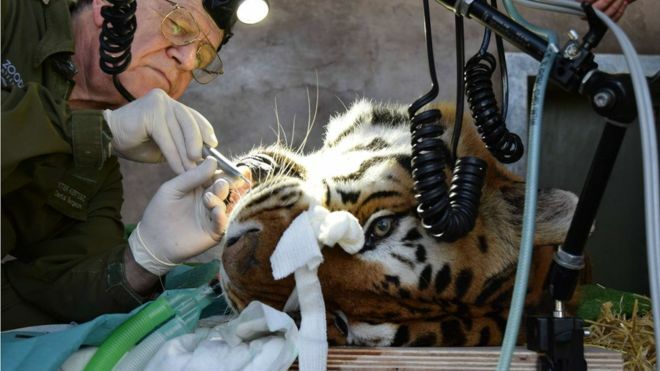 Khan was under Anesthesia for two hours and with the help of his dental nurse, Dr. Kertesz cut off the chipped tooth and cleaned the root canal and the tiger was put on medication to get rid of the infection. After the Anesthesia wore off, the Zoo keepers told that Khan was happier and they could see relief on his face. 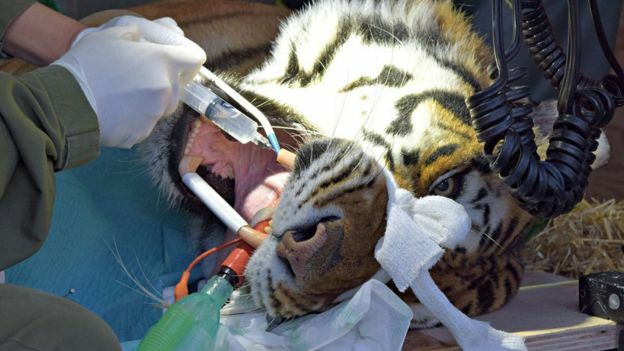 In wild and even in Zoo’s if any dental infection left untreated has been reported to become fatal for wild animals, and the timely observation on the Zoo employees part has saved a tiger from pain and a life-threatening infection.